With over 1.4 million apps available on Google Play and over 1.2 million on the App Store, the idea that smartphone users are spoilt for choice is an understatement. And it’s not just free apps that are crowding the stores. January 2015 was the App Store’s most profitable month ever, with users spending about half a billion dollars on apps and in-app purchases in the first one week alone. Think about that figure for a moment. Half a billion. That’s more than the entire budgets of the Titanic and Avengers: Age of Ultron combined. And that’s what people like you and I spent on our favorite yoga app or must-have game in just one week. There’s a je ne sais quoi about apps that go viral that every app developer would like to lay their hands on. I don’t claim to be have all the answers, but an analysis of the flavors of the season – Dubsmash, Meerkat and Periscope – might help us distill the secrets behind building apps that drive fanatic downloads and sky-high engagement rates. Dubsmash enjoys pride of place at number five on the App Store as well as Google Play store charts. This wildly popular lip syncing app, officially launched in November last year raced to the top of the app heap in less than a week in its home turf, Germany. Since then, it’s been launched across 192 countries and has over 50 million users and counting. Dubsmash’s premise is simple. Pick a sound. It could be a song, movie dialogues or anything from Dubsmash’s seemingly endless (though copyright suspect) library, shoot a selfie of yourself lip syncing to your selected sound, add filters to jazz it up and voila, you have your very own Dubsmash video ready to go! Though it’s not a social network, the videos made with Dubsmash have endless social sharing potential. 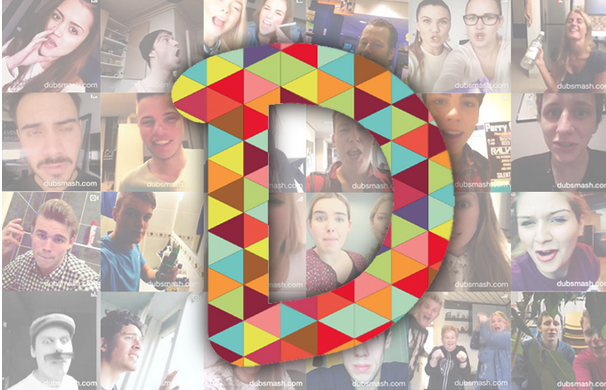 Dubsmash’s makers got third time lucky with the app. The first two versions didn’t do well and were pared down to the basics and surprise, surprise! It works. Meerkat was hands-down the most talked about app at the SXSW in Austin, this year. A live video streaming app that allows you to record and stream whatever you want to your entire Twitter following has virality hardwired into it. Like Snapchat, videos streamed on Meerkat are transitory and can only be saved by the creator to be uploaded to other video sharing sites later. It became such a sensation that Twitter shut down direct user access to Meerkat just before SXSW was to begin. It then went on to buy Periscope, a Meerkat lookalike, and put its entire marketing muscle behind it. The result? Both Meerkat and Periscope have been hugely successful. Anyone with a smartphone can now stream video live and have millions of people tune in simultaneously. The recent Mayweather vs. Pacquaio fight stood testimony to the burgeoning popularity of live video. However, now that they’ve the Twitter name (and clout) behind them, in terms of sheer numbers, Periscope has left Meerkat far behind (#9 vs. #60 in App Annie’s App Store rankings for May 2015). But what can we learn from these three? If nothing else, Dubsmash is mind-bendingly simple. The ease of use and extremely basic UI make it an app that even kids can use. In the case of Meerkat and Periscope, live video streaming is not new. Qik had live video way back in 2008. It never enjoyed even a fraction of the success these two apps are riding right now. The reason is simple – live video streaming was never so easily executable. Make it simple and the world will lap it up. Dubsmash is the third iteration of a lip syncing, selfie video app that the creators dreamt up. The first two versions didn’t do well. But that didn’t stop the team from tweaking it continuously till they had a real winner on their hands. The original apps were pared down to the basics and surprise, surprise, the new version simply works! Take a cue from this viral phenomenon and test out your app ideas on a pre-launch review/PR service such as PreApps. What I like about this particular site is that it offers developers direct access to early adopters and beta testers – people whose inputs are hugely influential in driving awareness and ironing out bugs before you go all out. Just lip synced to ABBA’s “Dancing Queen” in full costume? Of course, you want to share that with your friends! Watching U2 live, in concert? By all means, you’d want to share the experience live with anyone who’d care to listen! All three apps recognize the new role of the end user as a publisher and help them tailor content with almost no effort at all. Dubsmash and its premise of lip syncing to funny music or movie dialogues is fun and extremely addictive, making it a downloader’s darling. Periscope and Meerkat open up new possibilities for live journalism, event collaborations and more. Most apps try and let users share their content with friends via social media sharing features. In the case of these Periscope and Meerkat, social is built right into the DNA of these apps. Both platforms are dependent on Twitter. Every time a user uploads a new video stream to either app, their entire Twitter following becomes a captive audience. Dubsmash does not have a social angle yet, but its videos are light and easy to share on any platform, making them super-popular on social media. As more people see the results of the app, more line up to download the app. Many apps make the mistake of being way too ahead of their times. While they get the privilege of being trailblazers, they barely get downloads. The key things about apps that go viral is that they come in at the right time. If still selfies were all the rage in 2014, video selfies are the next big thing with better cameras on the iPhone 6, 6+ and the Samsung Galaxy Edge. Dubsmash rode the trend superbly. Live streaming, as I noted before, is nothing new. But with 4G networks now common across the world, the ubiquity of WiFi connections, and smartphone cameras being able to record 1080p quality video, all the key ingredients for a perfect viral storm are in place. 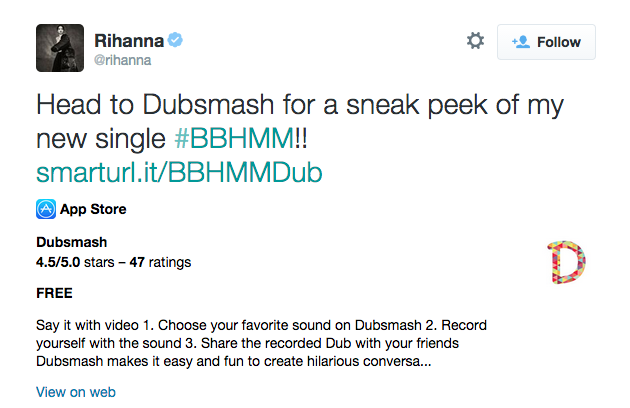 Rihanna established Dubsmash firmly on the world stage when she famously launched her new single on Dubsmash instead of YouTube, Vine or Instagram. Meerkat had some big name early adopters like Jimmy Fallon, Julia Louis-Dreyfus and Jeb Bush to thank while Periscope has users like Ringo Starr and David Blaine among its ranks. 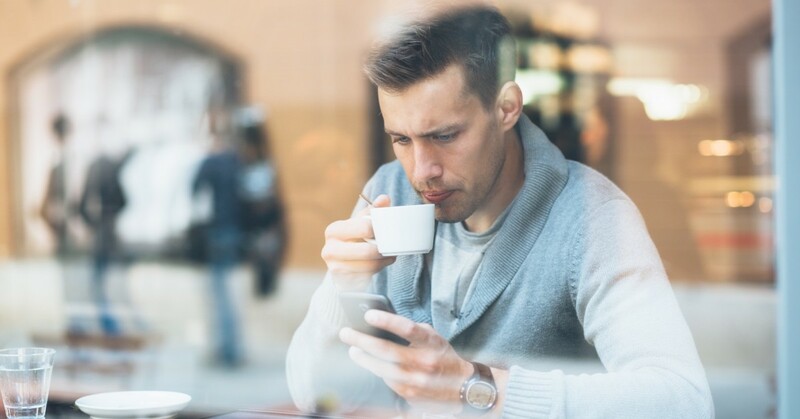 The fact that these apps are highly social combined with the “me-too” behavior among their fans, makes celebrity endorsement a huge trigger in taking apps viral. This is a factor very few app makers even consider. Promoting your app online and on social media are fine. But how about doing the same at live events, in front of the right target audience? This is one thing that Meerkat got right and hit event marketing at the SXSW right out of the park. The great word of mouth publicity that both Meerkat and Periscope generated at the SXSW meant huge press mentions, thousands of downloads and more importantly, active engagement from the best brains in the digital business. Thanks to the SXSW fillip, anyone who had anything to do with digital media found out about the app and probably downloaded them too. What this goes to show is that there’s a lot more to app marketing than building a decent app, promoting it on the app stores, advertising it across social media and so on. Maybe it’s time to look at the fundamentals of your app first. You might even double down on your PR strategy while you’re at it. The bottom line is, if you do what everyone else is doing, you’ll get results that are the same as everyone else. While you spend some time rethinking the box, I’m going to go create my latest avatar on MyIdol. 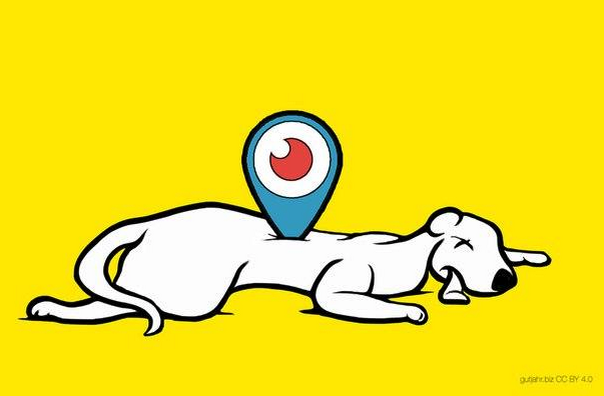 Read Next: Why is live video app Meerkat suddenly popular, and can it last?